Gaming, be it online games, mobile games, console games or PC games, is a multi-billion dollar industry and no child's play (pun intended)! Hence, expert-level game testing is of highest importance to any game’s success. Games that are built for mobile are totally different than the web-based games, which in turn are completely different than console or PC games. However, quality of the game is critical no matter which media platform you're testing for. A high-quality game aims to meet and exceed the expectations of the players, remembering to throw in enough challenges to make the game-play interesting. It also is tested to pass the cross-platform performance criteria without compromising on the player's privacy and security. This can be a huge challenge especially when you are trying to emulate players who aren’t in the same room and rather playing from whole different geographies. Multiplayer games are a pain to test, hard to debug, can contain issues that are nearly impossible to reproduce and can break easily (flaky network connections, anyone?). To mitigate this challenge, make sure that the game you're testing is robustly designed, makes use of some of the best game development frameworks like Unity, Unreal etc, has been unit tested on at least one Android and one iOS devices. Oh yes, make sure you setup realistic cross-platform, cross-connection networks before commencing testing. In short, don't be lazy and refrain from testing with your buddy tester who shares your cubicle (and your network connection)! No gamer would ever want their saved game or high score ruined just because there is a bug in the game's authentication module. Imagine spending session after sessions worth of time (and possibly dollars on buying those weapons and gears), unlocking those difficult levels only to find out that you have lost everything because the game forgot your last saved game data along with the unlocked levels (and weapons)! As they say, choosing the right game engine often proves to be the first step in deciding the success (or failure) of a game. With the advent of so many games platforms over the past few years and the release of the latest generation of consoles like the Play Station 4, Microsoft Xbox One and Wii U, selecting the right game engine can be difficult. With so many game engines available for each of these platforms, it can be a hair-pulling moment if you're a game tester. e.g. many PlayStation games are developed using GameMaker game engine while most online casinos like Mansion Casino prefer PlayTech! Although this is a decision that is often taken by the game studio executives and lead programmers, as a game tester it means you have to be trained and ready to test in most (if not all) of these latest game engines and platforms. 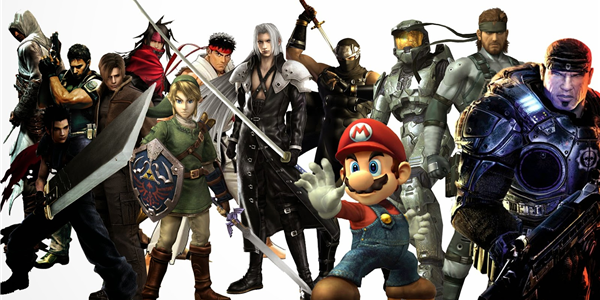 It was not too long back when Facebook introduced social media games and in 2013 when the launch of Wii U (and Miiverse that came with it) made it obvious that social integration and social media as a whole were going to play a major role in videogames over the coming years. Today, the video games are becoming increasingly more connected to various social networks, but this also means that as game testers you will have to be even more attentive. Social media can be a double-edged sword; if used intelligently can not only serve as a way to bring together like-minded gamers into a closely knit community, it can also be a great way for the companies to push their products (gaming accessories, weapons, gears etc) to targeted and loyal gamers. However, if done poorly it can be the end of the game and the gaming studio! Hence, as the game tester you need to make sure that the social integration is accurate, and is able to be interesting to the demography that your game is targeting. No testing is complete without a round of good, old load testing before the product can be launched and it applies to Game Testing as well. With more and more network based games emerging everyday, and the focus shifting to MMO and MORPG games, your game should be tested to withstand real-time concurrent load before it can be shipped. Load testing should be done to achieve consistent performance across all hardware/software/platform/device combinations that your target audience might use.